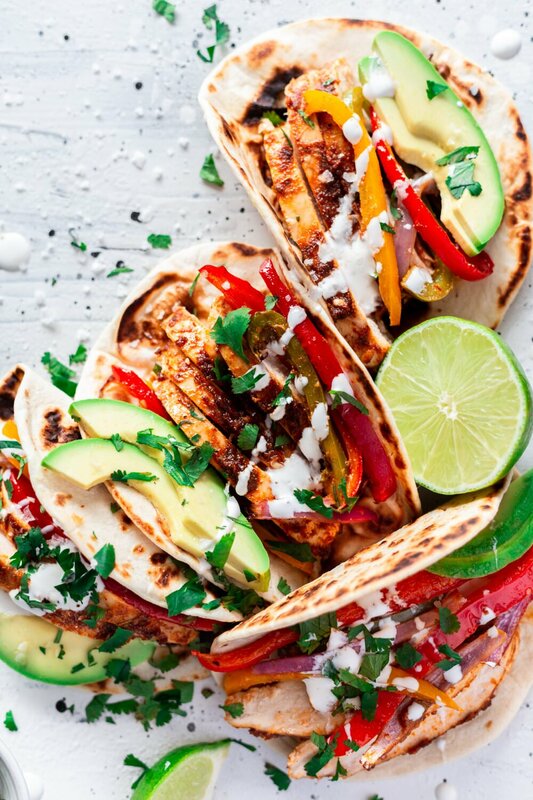 This post is sponsored by Fulton Fish Market, but all opinions and recipes are my own. Thank you for supporting the sponsors who support A Simple Pantry! I can, without a doubt, say that this black sea bass is easily the prettiest fish I’ve ever laid eyes on. And I am not one to exaggerate. Well, I mean, when it’s important. And this is important! And in all honesty, I didn’t even know fresh seafood delivery was a thing. But it is! AND IT IS WONDERFUL YOU GUYS! 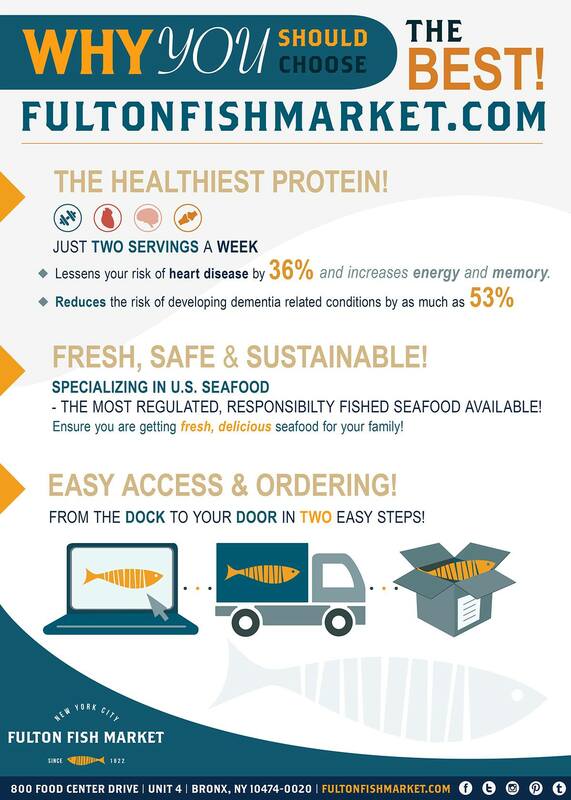 Are you familiar with the iconic Fulton Fish Market in NYC? This local Bronx establishment has been providing restaurants and seafood-lovers galore with the freshest fish around for nearly 200 years. YES, I said TWO HUNDRED YEARS. It blows my mind. You know what else blows my mind? Anywhere between one to two million pounds of fresh seafood cross their docks on a nightly basis during the week. I can’t even imagine that. And they specialize in fish from fresh, sustainable, and legal sources in US fishing waters. How cool is that? Do you see this beautimas black sea bass? This was delivered to my door. Fresh. From the Fulton Fish Market itself. They deliver! Through their new platform fultonfishmarket.com you can get the day’s freshest catch delivered to your doorstep and I cannot stop raving about it. 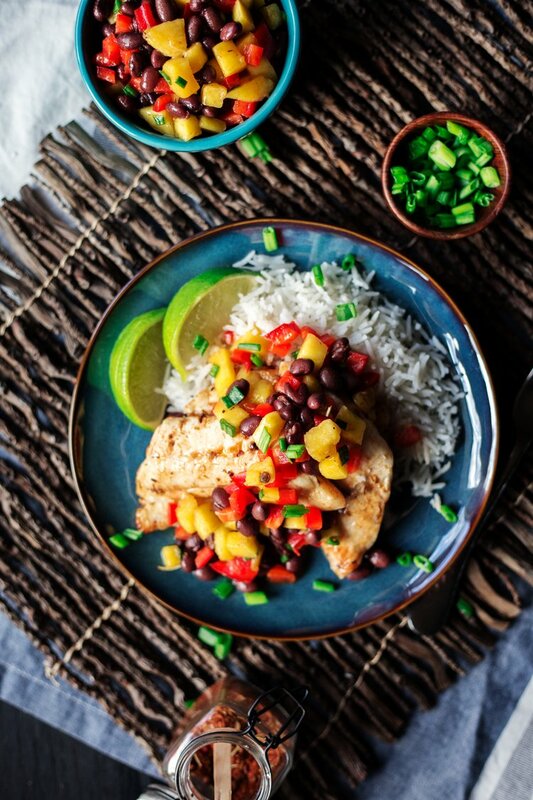 My husband and I made an absolutely amazing spicy salt and lime black sea bass with mango and black bean salad and it was literally the best sea bass my husband, as well as my dad, have ever had. I wish I could take full credit for that, but clearly, a great fish is the biggest component to an amazing dish. 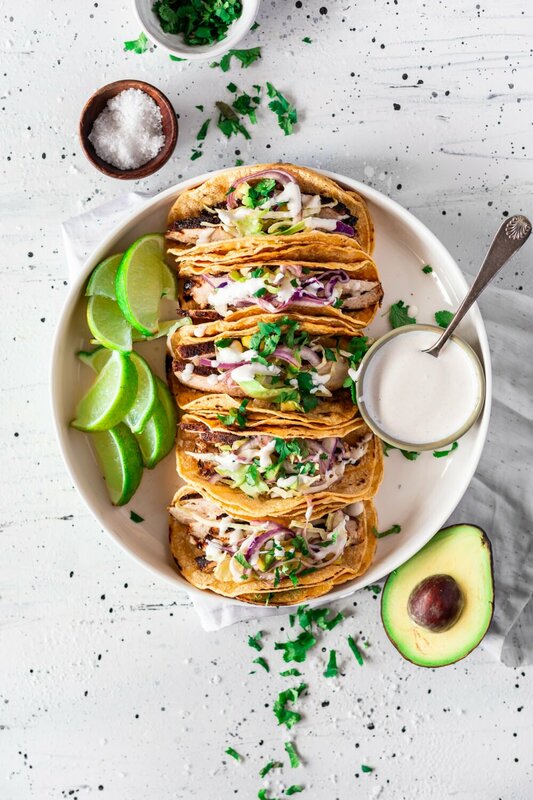 If you have as many seafood-loving friends as we do, you’ll be happy to hear that Fulton Fish Market has a CSF (Community Supported Fishery) program! You can use it to get weekly deliveries, similar to a CSA! We’re excited to get one set up here in town, so if you want to set one up in your area, find out how HERE! How about a double plus bonus?! 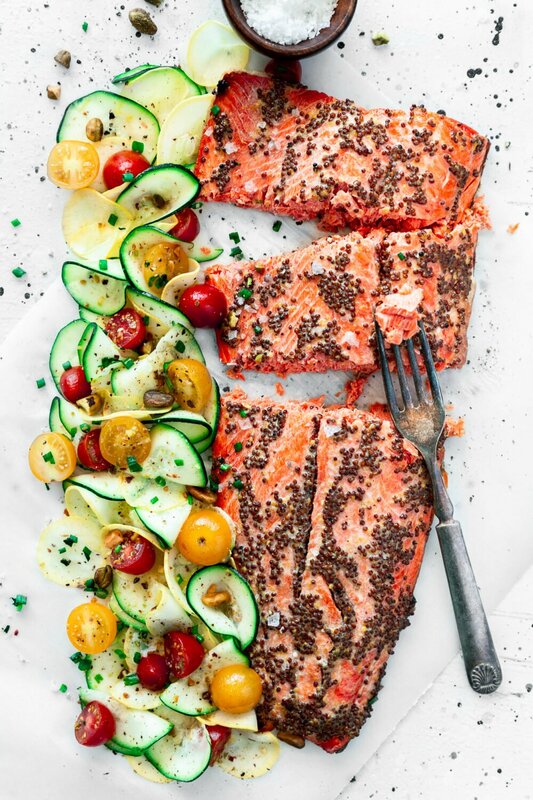 The first 100 people in the contiguous US to email Fulton Fish Market and say they want to taste the difference will receive a $25 credit toward their first online order PLUS free shipping! If you don’t want to try it yet, you might just be crazy. But! You can also enter to win either a $250 or $50 gift card to fultonfishmarket.com! 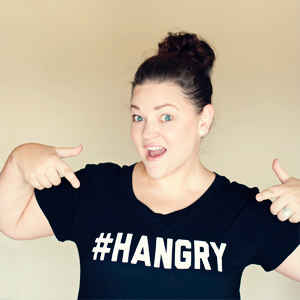 Giveaway ends 10/18, so good luck! 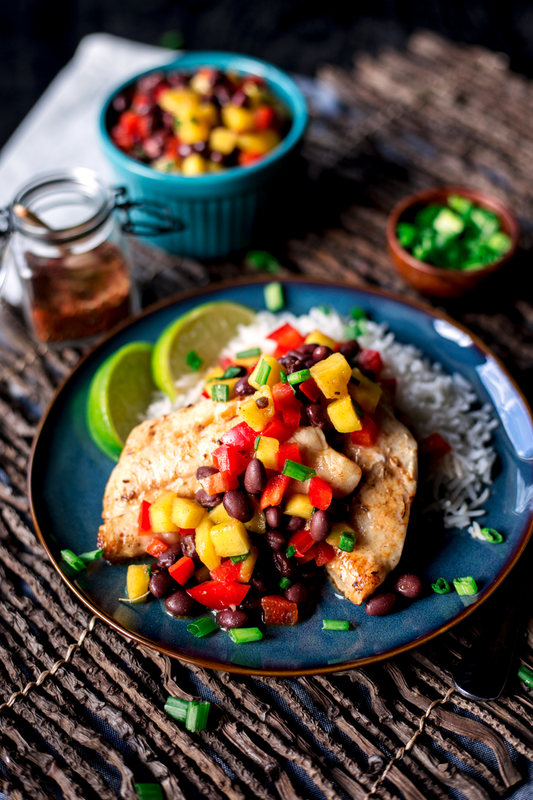 Now, when it comes to this spicy salt and lime black sea bass, I personally used Mille Sel De Guerande Spicy Salt, which has an incredible flavor profile. You can also find it here! 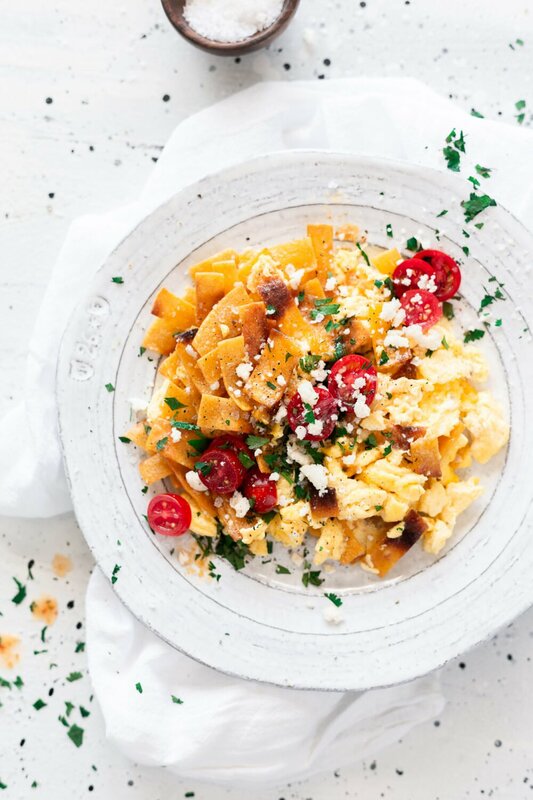 In a small bowl, whisk together the lime juice, spicy salt, and olive oil. 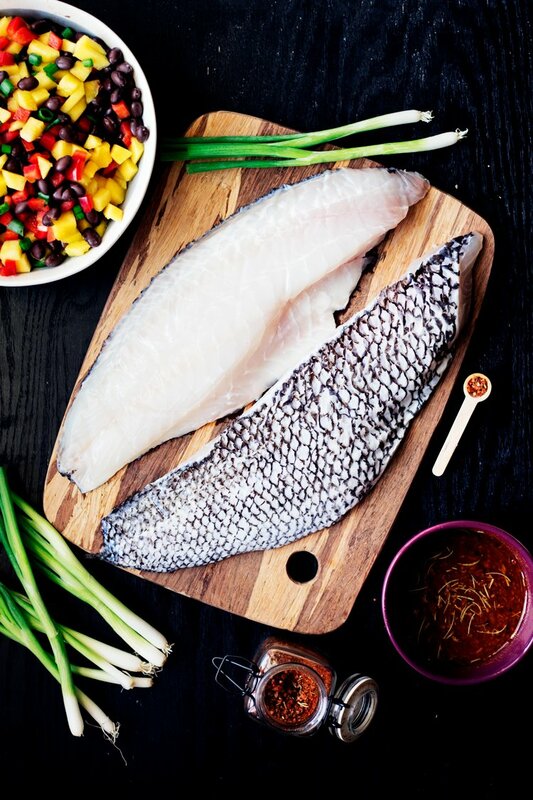 Place the sea bass filets in a large bowl and coat with half of the marinade. Let sit covered in the fridge for 15 minutes. 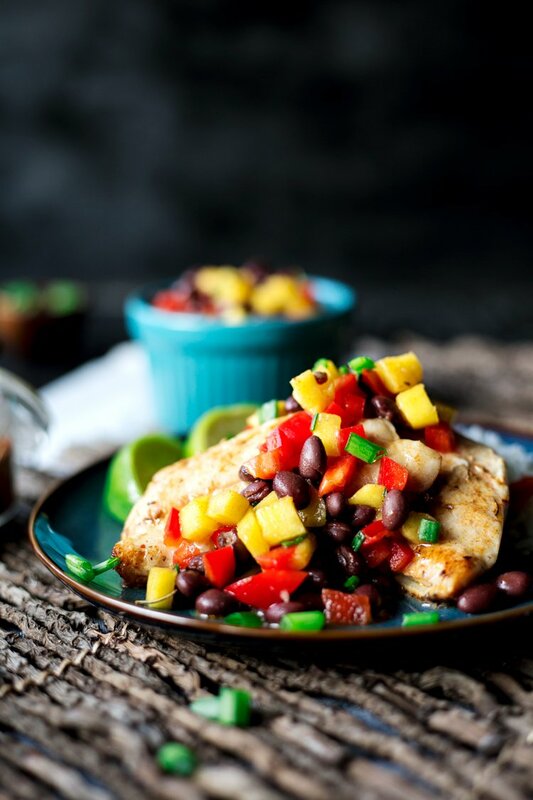 While the fish marinates, combine the mango, bell pepper, black beans, and green onion in a large bowl. Toss with remaining marinade and set aside. Heat a large skillet to medium high. Add a couple tablespoons of olive oil, then add the sea bass filets and cook for 6 minutes, flipping the filets halfway through. 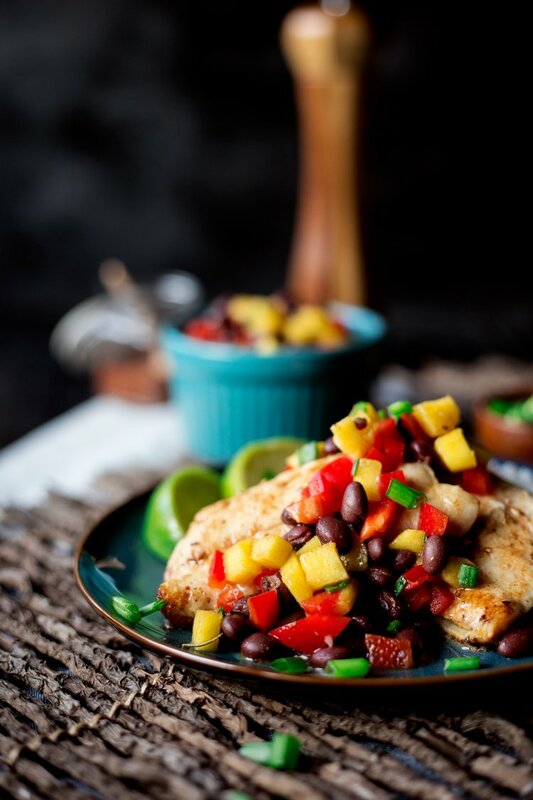 Serve immediately with a heart portion of the mango and black bean salad. You can cook the fish with the skin attached or removed. We personally cooked with the skin on. 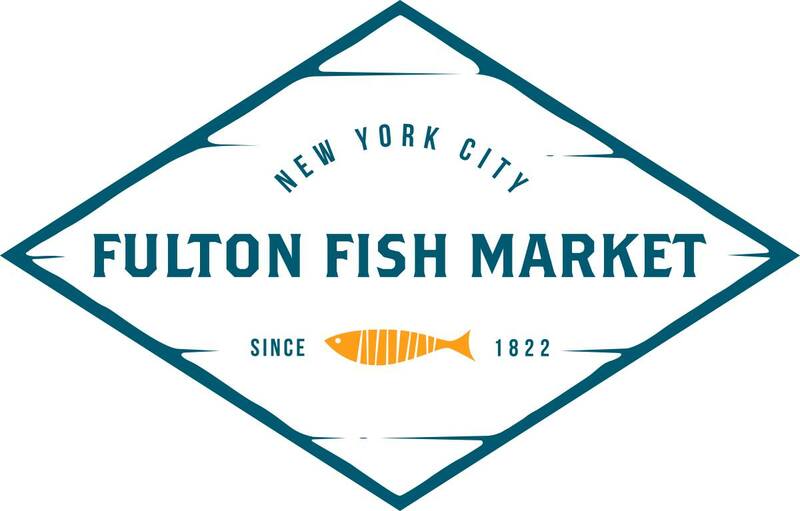 I lived in NYC for almost 10 years, and I absolutely loved the Fulton Fish Market! This sea bass sounds incredible. 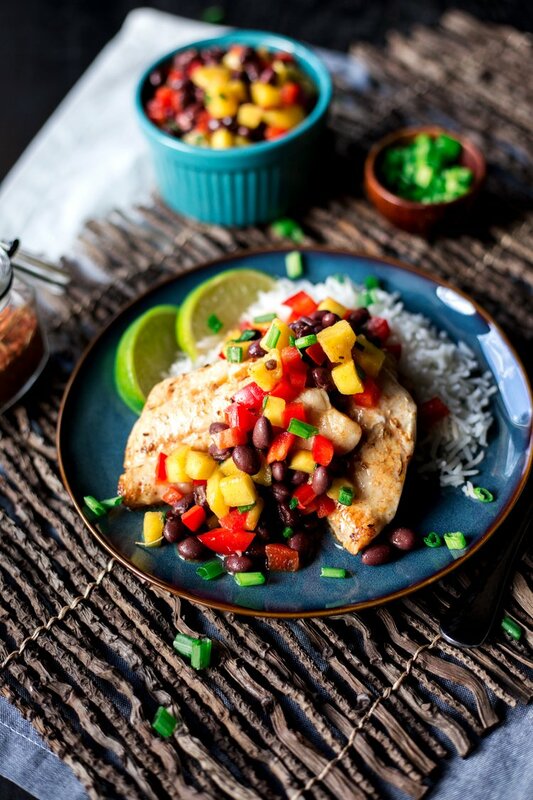 I love the mango and lime--so bright and flavorful! what a delicious dinner! 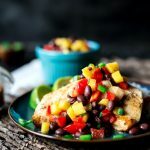 I love sea bass and this looks amazing with the salsa! ...mmmmmm. Sea bass is one of my favorite fish. 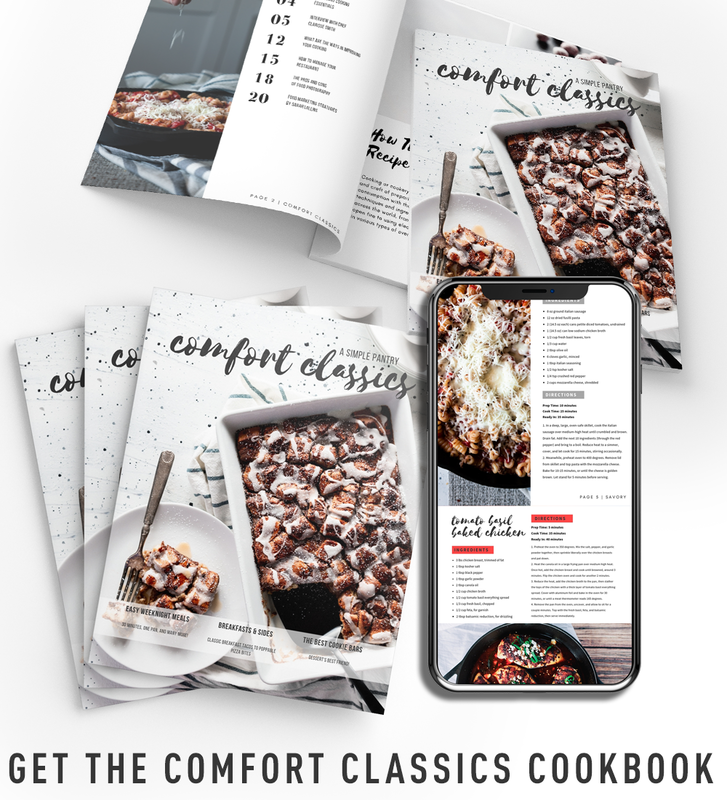 Your photos and recipe look and sound delicious. I love the addition of mango to it. Such a yummy dinner. I need to make it! How neat! I grew up in a landlocked state so really great fish was never easy to find. There is just nothing like off-the-docks quality, and I think that the idea of the CSF is brilliant! I'm still in awe at the MILLIONS of pounds of fish that go through there every day! Woah! 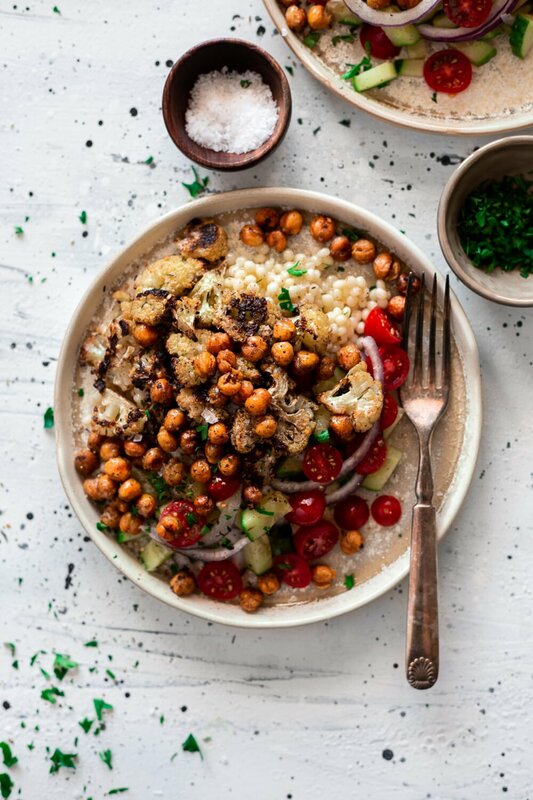 This is one gorgeous dish! I'm not sure if I have ever tasted Black Sea Bass...I know I have never cooked with it. You just made me want to! I am loving the quality of Fulton's fish!